With extremely high print speeds and built-in networking support across all models, the HP LaserJet P4515 series (P4515n, P4515tn, P4515x) is designed for office environments that regularly produce large quantities of printed documents and need a printer fast enough to keep up with them. Furthermore, the P4515 series is built for some expandability, with a few options to increase paper throughput and handling as one's needs increase. The P4515n measures 16.5" by 17.7" by 15.5" and weighs 56.92 lbs. The P4515tn measures 16.5" by 17.7" by 21.5" and weighs 71.58 lbs, and the P4515x measures 16.5" by 20" by 21.5" and weighs 77.42 lbs. While the P4515n may fit comfortably on a desk, with all trays extended the printer measures 16.5" by 34" by 23". The P4515tn are even larger at 16.5" by 34" by 29" and the P4515x measures 16.5" by 34" by 29", making the printer too large to fit comfortably on a desk shared with other equipment and likely better suited to its own work table or a credenza, on which it will be able to sit comfortably. The P4515 series prints up to 62 pages per minute, much faster than its predecessors and among the highest speeds offered by HP products. Furthermore, the printer has a first page out at 8.5 seconds, meaning that documents will be available very quickly. P4515 models come standard with two paper trays at 100 sheets and 500 sheets. The printers can support a maximum number of six paper trays, bringing the printer's maximum paper input capacity to 3600 sheets. This is over seven reams of paper and more than adequate for a small or medium office environment. The P4515 prints to letter, legal, executive, statement, 8.5" by 13", and custom paper sizes between 3" by 5" and 8.5" by 14", as well as Com10 and #7 3/4 Monarch envelopes. All models can print to paper, envelopes, labels, cardstock, transparencies, and user-defined media. The P4515's maximum resolution is 1200 by 1200 dpi. The P4515 features 128MB of RAM built-in which can be expanded, if necessary, to 640MB via 144-pin 32bit DD2 DIMMS. However, the printer only includes one slot for memory upgrades, making it impossible to upgrade the printer gradually; it will either need to be maxed out at its first upgrade or have its memory removed and replaced. A serial ATA hard drive can also be added, though this will add another moving part and potential point of failure to the unit. All P4515 models include an HP Jetdirect print server built in with Gigabit Ethernet support, allowing for extremely high-speed data transfers across your office network. If necessary, support either wireless networking can be added via a wireless-compatible Jetdirect print server. Additionally, support for legacy ports can be added via an EIO connectivity card, which will give the printer an additional USB port as well as serial and LocalTalk support. However, drivers for Windows 9X systems and Mac OS versions released before Max OS X 10.2.8 are not included with the printer, worth considering if the printer is to be used with older systems and not via a network. 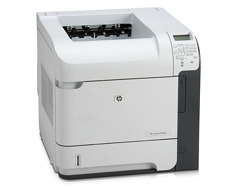 Automatic duplex printing is available as an add-on for the P4515n and P4515tn. The P4515x includes the duplexing unit standard. A 500-sheet third input tray is also included standard on both the P4515tn and P4515x. The P4515 does not include connectivity cables, either for USB or for Ethernet. Though this likely will not be a problem for most established IT environments, it is worth noting so that one can begin work with the printer as soon as it arrives. The P4515 series is not Energy Star qualified. 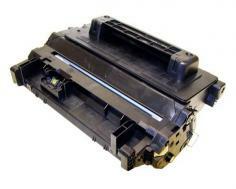 While many printers with comparable paper throughputs and print speeds include support for a number of accessories to better handle paper, the P4515 series is not compatible with the stackers, staplers, mailboxes, or other finishing units that your office may need when processing paper volumes as large as the P4515 is made to handle. 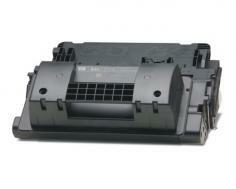 Review it: "HP LaserJet P4515n "
The P4515's toner cartridge requires replacement every 10000 pages rated at approximately 5% coverage. Toner cartridges include drum units, bringing up the cost of toner cartridges but also reducing the amount of maintenance one will need to do in order to keep the printer operational. High yield toner cartridges are also available, capable of printing 24000 pages, and the difference in cost is practically negligible between the two.